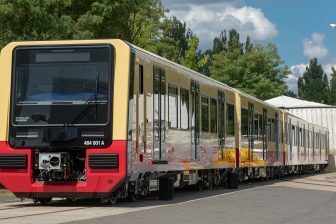 Ukrainian manufacturer Kryukov Railway Car Building Works (KRCBW) will expand its product range. 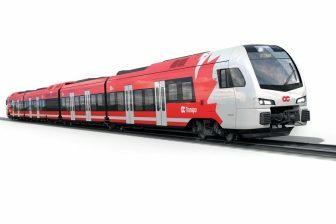 The company intends to design and produce its first commuter electric train. KRCBW will invest around 6.3 million Euros in this project. Kryukov Railway Car Building Works (KRCBW) will start to work out a commuter train this year. 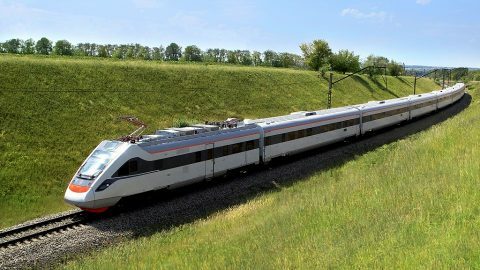 “We should invest huge amounts in developing of a commuter electric train in 2019 – around 200 million Hryvnias (circa 6.3 million Euros). We have invested in the creation of Tarpan high-speed electric trains and the DPKr-2 diesel train. 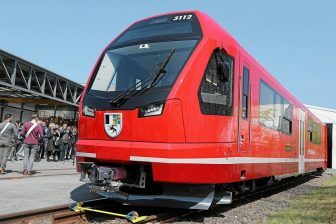 Now, it is the turn of the commuter electric multiple units”, said the company’s president Volodymyr Prykhodko. However, the top manager did not specify the exact date of the project launching. Currently, KRCBW is specialised in the manufacturing of freight and passenger cars. Moreover, the company has some experience in producing multiple units. In 2011-2012 KRCBW manufactured two EKr-1 nine-car high-speed trains named Tarpan (Eurasian wild horse). Ukrainian Railway has operated these units since June 2014. The trains can speed up to 200 kilometres per hour, however, they run at a speed of 160 kilometres per hour, the maximum figure allowed on Ukrainian’s railway network. Besides Tarpan units, Kryukov Railway Car Building Works also produced one DPKr-2 three-car diesel train in 2014. It started to serve regular routes in October 2015. Ukrainian Railway has ordered six DPKr-3 three-car diesel units. They will be an upgraded version of DPKr-2 type and will be produced by the year’s end.